Manufacturing organizations handle many types of materials in their production environment. Raw materials, materials-in-progress, finished goods, accessories, components, packaging materials, maintenance and repair supplies, scrap and many more must be handled in an efficient manner to make the operations cost-effective and to avoid wastage. The principle behind material handling process is said to be “no handling”, which is not practicable in reality. So it would be appropriate to say, that the objective of materials handling would be, to reduce the number of handlings as well as reducing the distances through which the materials are handled. Why efficient materials handling is inevitable in a manufacturing set-up? The movement of materials from the receiving area to the shipping area through the production line does not add value to the product but only to the cost. Further, plant layout and materials handling are complementary to each other. A production facility must incorporate a good plant layout that enhances the efficiency of movement of materials with ease and should deliver maximum productivity. 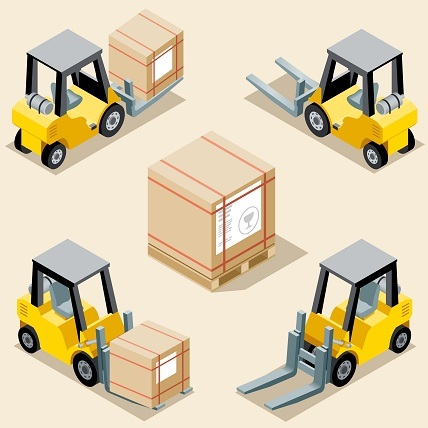 There are certain principles that serve as a guide for efficient materials handling. These provide a framework for selecting specific materials handling equipments that form the core of the production system. Materials handling should be considered in the light of movement of men, machines, tools and information. It also depends on the type of product manufactured, quantity, value and size of the organization. Cost effectiveness can be achieved if the firm is able to reduce the manufacturing cycle time through faster movement of materials and thus work-in-progress inventory costs can also be controlled and reduced. Design of the plant layout that facilitates sequential flow of materials through the production facility, improved working conditions, safety in the movement of materials, contribution to better quality by avoiding damage to the materials due to inefficient handling and workers being appraised about the importance of smooth materials handling result in higher productivity at lower manufacturing cost. Interested in being served food by Robots! Adaptability, flexibility, load capacity, power, speed, nature of supervision required, space requirements, ease of maintenance, environment friendliness and cost are some of the factors to be taken into consideration while deciding on the type of material handling equipments. Also the capabilities of manpower to operate the equipment and safety of personnel cannot be overlooked. It is important to select and design, materials handling system that are expensive to purchase and operate. For instance, if overhead cranes are to be used, the structure of the building should be strong enough to support the installation. Spacious aisles are mandatory if the loads are heavy and transported across the shop floors. Elevators, hoists, industrial trucks like fork-lift trucks, pallet trucks, pipelines, automatic transfer devices, automated guided vehicles, and industrial robots are some of the handling equipments that have found their ideal place in this process. Materials handling activity should be evaluated like any other activity to gauge its effectiveness. The focus should be on the manufacturing cycle efficiency, equipment utilization, percentage of time lost, total number of moves and material handling costs as percentage of manufacturing expenses.